They were also dismayed about how long it took to identify Fabienne’s body. According to Van Calster, he was never officially informed by the state that she was among the dead. 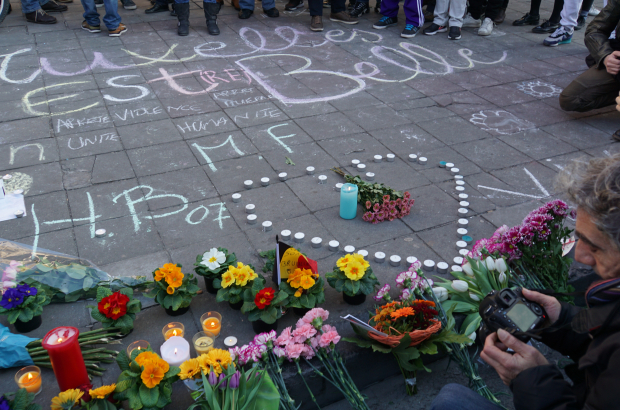 Since the attacks at the airport and in the Brussels metro, 778 people have registered as victims, according to federal prosecutor Frederic Van Leeuw. There are various departments that deal with victims and the relatives of victims, he said. His own office took on a co-ordinating role immediately after the attacks, but since then victims have been taken up by other services, depending on their status. At the same time, he said, 45% of the Brussels judicial police are now delegated to terrorism cases, instead of the 15% theoretically deployed to the area. That has taken officers away from other cases, putting pressure on local forces. Van Leeuw has now called for the creation of a separate, centralised terrorism unit to cope with the growing number of related cases – up from 145 in 2010 to 1,050 in the first 10 months of this year.